Compared are the shorter Original Broadcast Version (Movie Version) and the longer Expanded Syndication Version (TV Versin / Two-Part Episode) (both available on the so-called "The Complete Collection" by Fabulous Films from the UK). Please note: the images in the Original Broadcast Version are generally brighter than the images in the Expanded Syndication Version. This is the comparison for "The Solid Gold Kidnapping Part 2". Click here to get to the comparison of Part 2. Gentlemen, we can rebuild him. We have the technlogy. 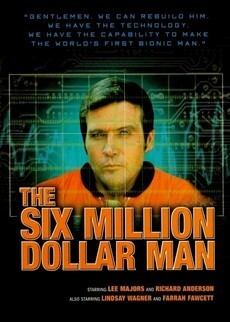 The Six Million Dollar Man tells the story of austronaut Steve Austin (Lee Majors). After an accident, he lost both legs, an arm and an eye. In a $6 million surgery, the affected body parts get replaced with bionics. From now on, Steve works for the intelligence agency OSI. The show is based on te novel "Cyborg" by Martin Caidin. Because of that, the sow was originally supposed to be called "Cyborg" as well but that idea was cast away. 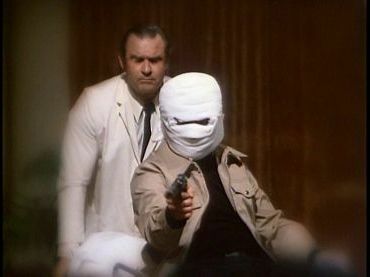 Originally designed as 3 TV movies in 1973, The Six Million Dollar Man TV show aired in 1974. All in all, there are 5 seasons with 108 episodes in total (incl. the 3 pilots). The longer versions have a length of approx. 100 minutes each (the original length was only about 74 minutes each but approx. 37 minutes per episode would be too short). The regular opening and ending from the show were added and so were many new scenes. In return, a few scenes were also cut or replaced. For more details, please see the following comparison. The result: the 3 TV movies became the 3 show pilots. Regarding the plot, this is only the case with the 1st pilot "The Moon and the Desert". This very first pilot is rather unspectacular but it's in the nature of the beast. 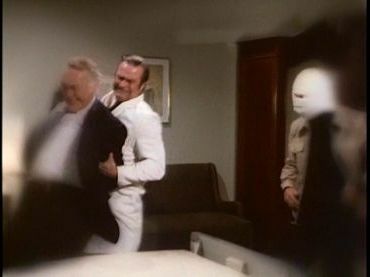 After all, "The Moon and the Desert" tells the story how Steve Austin became the Six Million Dollar Man - also told in the opening of the show but highly compressed of course. Starting with him being a test pilot and astronaut, right up to his severe accident, the eponymous surgery that costs $6 million and his first assignment. In the second and third pilot, Steve is on further missions which makes these pilots much more similar to the actual show. 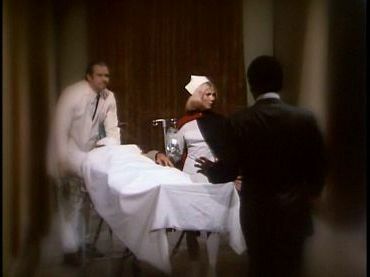 At the end of the second season, in episodes 2x19 and 2x20 (The Bionic Woman Part 1+2) to be more specific, Steve gets temporary bionic support. 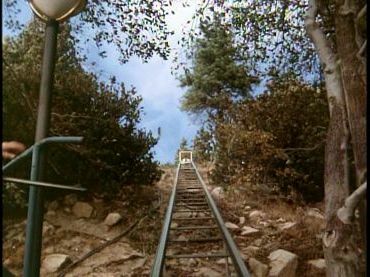 Steve buys a Ranch in his hometown Ojaj, California where he bumps into his former girlfriend Jaime Summers (Lindsay Wagner) who has become a tennis pro. But the reunion does not last long because when Jamie goes skydiving, her parachute does not open correctly. Similar to Steve back in the days, Jaime is severely injured. 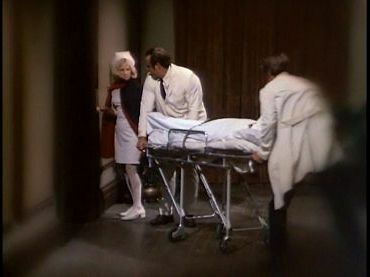 Steve can convince his friend and boss Oscar Goldman that she will get bionics as well. At first, everything is peachy. But it turns out that Jaime's body rejects the bionics. At the end of the day, Jaime dies. 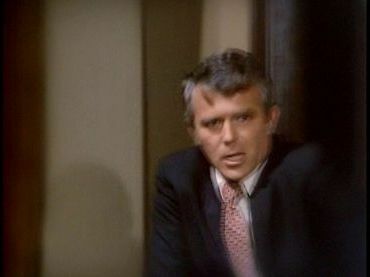 This two-part episode was so successful and the character was so popular among fans that the producers brought Jamie back to life in another two-part episode called "The Return of the Bionic Woman". It turns out Jaime is not dead after all resp. she was dead for several minutes but she could be revived just in time. 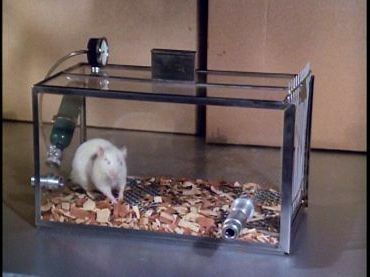 Her body rejected the bionics but the process could be stopped. Unfortunately, Jamie suffers from amnesia. She has no recollection of Steve at all and any times she makes an attempt to remember him, it causes a lot of pain which is why she can't be with Steve any longer. Jaime settles down in her hometown Ojaj and works as a teacher on a military base. That is if she is not on an O.S.I. mission of course. This is also the initial situation for the spin-off The Bionic Woman. The show started in 1976, 3 seasons consisting of 58 episodes in total were made. 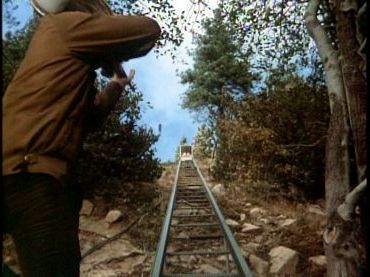 Besides further guest appearances of Lindsay Wagner in "The Six Million Dollar Man" and a few guest appearances by Lee Majors in "The Bionic Woman", there were two huge crossovers: "The Return of Bigfoot Part 1+2" and the among fans extremly popular "Fembot Trilogy", consisting of the episodes "Kill Oscar Part 1-3". After the second season of "The Bionic Woman", the show got cancelled by ABC. NBC bought the rights, produced a third season and aired it. Due to the new network, crossover episodes were no longer an option. 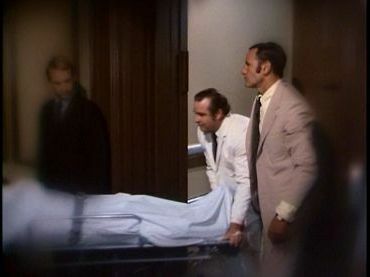 But this also resulted in something unique in TV history: Richard Anderson (as Oscar Goldman) and Martin E. Brooks (as Dr. Rudy Wells) now played the same character on two different networks. It was the first and only time that his has happened. The year 1978 was pretty bad for our bionic heroes because both shows got cancelled independently of one another. 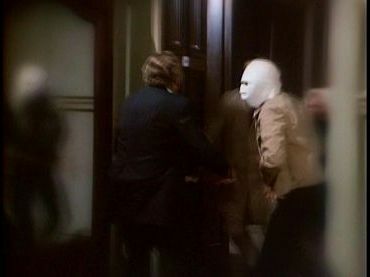 While "The Six Million Dollar Man" ended with a regular episode, that was not the case the final episode of "The Bionic Woman" called "On the Run". She has never thought about it but when a little girl calls Jamie "Robot Lady" some day, she quits. But the government can't just let her walk. They want Jaime to live somewhere where they can keep an eye on her. Later on, Jamie realizes she is still a human being, despite her bionics. She goes back to the O.S.I. It has been confirmed that this finale episode is a reference to a show from the UK called The Prisoner - which is ridiculously awesome by the way. 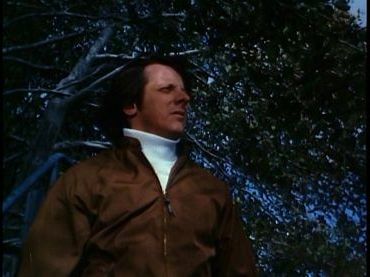 The lead of that show, Patrick McGoohan, is taken to a mysterious island after he decided he did not want to be an agent anymore and quit. On that island, he lives at a place called "The Village". 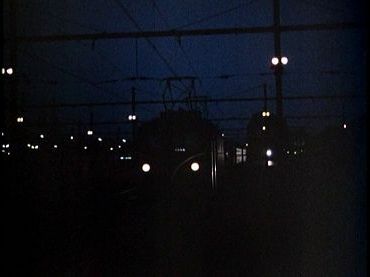 In "The Village", there are no names. He is simply being called "Number 6". In every episode, he has to face an opponent who intends to find out the reason why he resigned in the first place. 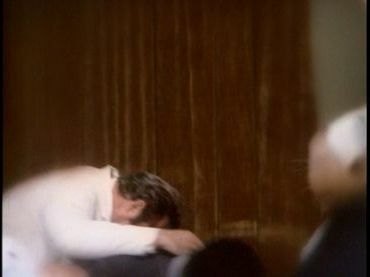 This story was intentionally choses for the final episode of "The Bionic Woman" because it was originally supposed to be the end of te story of Jaime Summers. But things turned out differently. 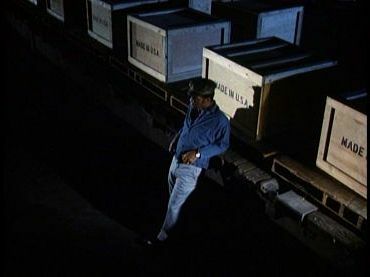 Similar to The Incredible Hulk, 3 TV movies - known as "Reunion Movies" - were shot after the end of the two Bionic shows. Those three movies tell the actual ending of the Steve Austin and Jaime Summers story. The first movie was released in 1987 and it is called The Return of the Six Million Dollar Man and the Bionic Woman. The second one is from 1989 and it is called Bionic Showdown: The Six Million Dollar Man and the Bionic Woman. Fun fact: one gets to see Sandra Bullock in one of her first movies here. The third and last movie was released in 1994. It is called Bionic Ever After? and tells the ending of the story about our two bionic heroes. In this context, I would like to recommend this chronological listing of the cameos and crossovers. Some people might be interested in the fact that a further spin-off was planned. The third season of "The Bionic Woman" begins with the two-part episode "The Bionic Dog". In this episode, Jamie finds a dog called Max. Max has bionic parts as well. To be exact, Max got a new jaw and new legs. 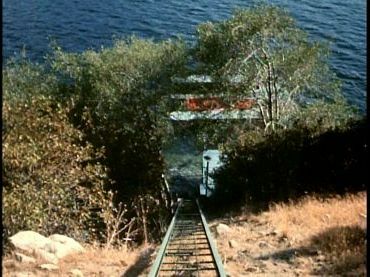 At the end of this two-part episode, it is implied that Max lives with a friend of Jamie's, Forest Ranger Roger Grette, in the Sierra Mountains and that Jamie visits him occasionally. But this idea was rejected and the network decided that Max sticks with Jaime. 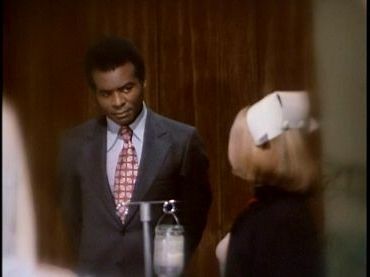 As a consequence, he has a few more appearances on "The Bionic Woman" auf. There are further "Bionic Shows" / "Bionic Movies" but neither of them have anything to do with the story of Steve Austin and Jaime Summers. - Bionic Six is a US-American/Japanese cartoon from 1987. Produced by "Tokyo Movie Shinsha", the show consists of 2 seasons with a total amount of 65 episodes. The show is about test pilot and family man Jack Bennett who gets bionic parts by Professor Sharp. During skiing trip with his family, they get attacked by aliens and burried in radiactive snow. Jack takes his family to Professor Sharp. By equiping them with bionics, Professor Sharp saves their lifes. Each of them has special bionic skills. Together, they are a team of superheroes: the "Bionic Six". - The Bionic Woman (2007) is a short-lived remake by NBC. Due to the strike of the "Writers Guild of America", the first season consists of only 8 episodes. Neither Kenneth Johnson, producer of the original series, nor Lindsay Wagner were somehow involved in the project. Contentwise, some changes were made as well. Barkeeper Jaime Summers (Michelle Ryan) takes care of her younger sister Becca (Lucy Hale). One day, Jaime and her boyfriend Will are invlved in a car accident. Will takes Jaime, who go severely injured in the accident, to his secret lab and saves her life with bionics. Soon after Jaime's recovery, Will gets killed by the first Bionic Woman, Sarah Corvus (Katee Sakhoff). After Will's death, Jaime decides to team up with the Berkut Group - the company that made bionics available for Jaime in the first place. She does not trust any of them but resigning is not an option because Jamie is determined to figure out why Will was killed. Also, Sarah Corvus, the first Bionic Woman, has problems with her bionic parts. They almost drive her nuts. She aches for being healed and fights the Berkut Group. Furthermore, she tries to convince Jaime they should fight side by side. 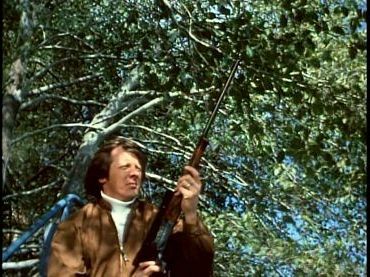 - The Six Billion Dollar Man is a remake for movie theaters which is still in production. Mark Wahlberg is supposed to play Steve Austin. Time index refers to the longer Expanded Syndication Version. Business as usual: the Expanded Syndication Version starts with a recap, then the (regular TV) opening. (322.77 sec bzw. 5 min and 22.77 sec / no screenshots). Because this is only footage from the first pilot, I did not make any screenshots of that either. Subsequently, the versions are back in sync. Please note: it is very likely that the final scene of the first pilot is being repeated because it ends in the middle of the conversation. If one does not watch both parts in a row, one has the chance to watch the entire conversation in one piece. 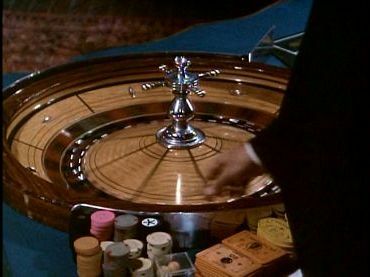 The Original Broadcast Version lacks the exterior shot of the casino. 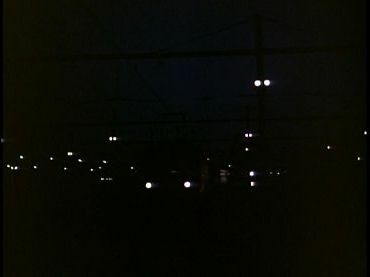 The shot begins 3 frames earlier in the Original Broadcast Version. 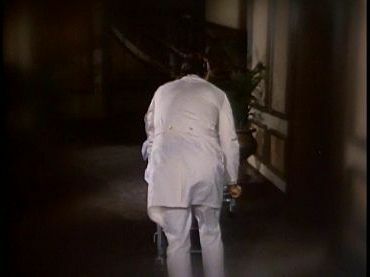 Ditto – except this time, it is only a single frame. 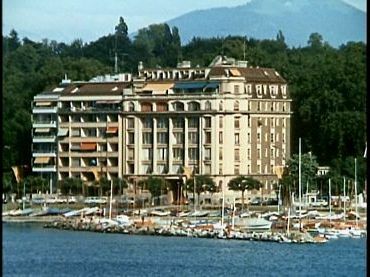 The Original Broadcast Version lacks an exterior shot of Lucern (3.3 sec). Contrary to that, the following shot of the driving boat is longer resp. 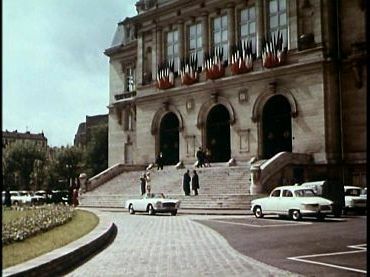 it starts earlier in the Original Broadcast Version (1.97 sec). 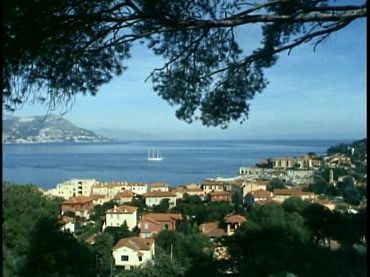 Then an exterior shot of the Contessa's property (identical in both versions). 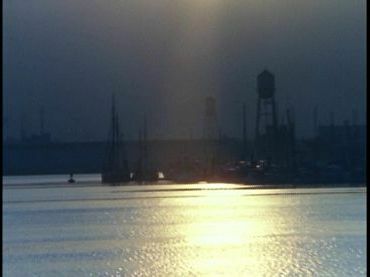 Subsequently, a further shot of the boat (1 frame resp. 0.03 sec longer in the Original Broadcast Version). As compensation, the following shot of the guy is 1 frame resp. 0.03 sec longer in the Expanded Syndication Version. Then the boat again (identical in both versions), followed by another shot of the guy (1 frame resp. 0.03 sec longer in the Original Broadcast Version). 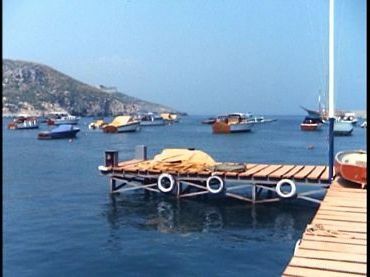 The shot that shows the weapon getting loaded is identical, the shot of Steve and the Contessa getting off the boat is slightly longer in the Expanded Syndication Version (1 frame resp. 0.03 sec). 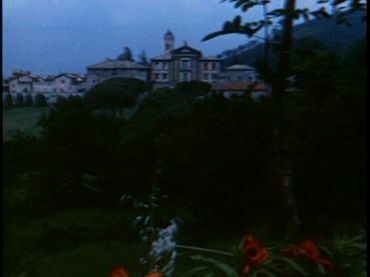 With the following shot of the estate, the versions are back in sync. Please note: since those are only differences with a few or just a single frame that neutralize each other (scene X 1 frame longer in Version A, therefore scene Y in Version B is 1 frame longer etc. 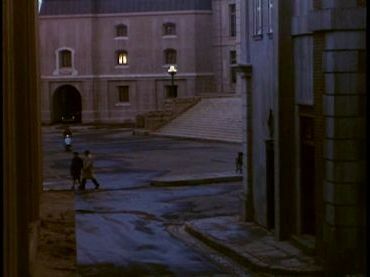 ), there are no screenshots - except for the exterior shot of Lucern missing in the Original Broadcast Version. All in all, the Expanded Syndication Version is a bit longer (due to the mentioned additional shot at the beginning). 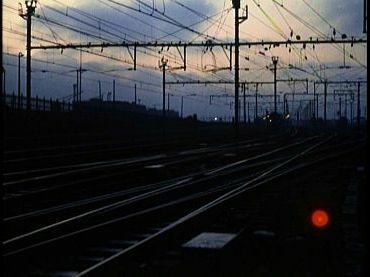 The Original Broadcast Version contains a further exterior shot of a train (4.3 sec) while the Expanded Syndication Version shows the harbor (7.9 sec). Two more shots that slightly differ. 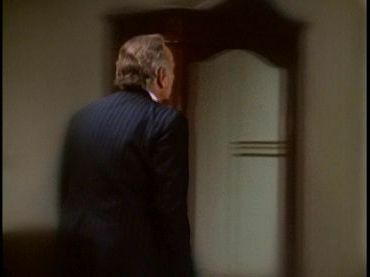 Furthermore, the following shot of Mel waiting for the Inspector starts earlier in the Original Broadcast Version. Another insignificant shot that is only in the Expanded Syndication Version. 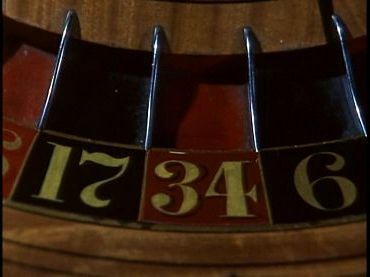 The shot of the rat starts 4 frames earlier in the Original Broadcast Version. Basically, the shots are identical. But there is this "fade to black thing" again. As usual, the Original Broadcast Version is insignificantly longer (noe screenshots). After that, there are two additional shots in the Expanded Syndication Version (guy & estate). 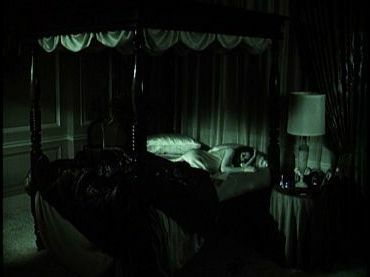 The shot of the Contessa lying on her bed asleep contains alternate music. Also, the shot is 5 frames longer in the Original Broadcast Version (0.17 sec). 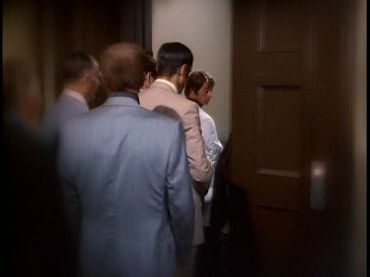 Moreover, only the Original Broadcast Version contains a little close-up of Steve's bionic eye (1.97 sec). 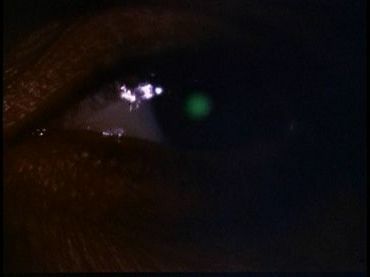 Please note: This additional shot of Steve's bionic eye is probably supposed to state the obivous: the room is dark and Steve makes use of his bionic skills in order to take a look around in the dark. Kind of redundant though because the image looks already green which makes it pretty clear what is going on. When Steve has left, the Original Broadcast Version instantaneously shows him in the car. The Expanded Syndication Version on the other hand continues with Dr. Bergner in her hotel room. She is sleeping. To be more specific, she is dreaming resp. she sees the memories of the dead guy again. Then a shot of the pier. With the shot of the car coming down the hill, the versions are back in sync. Two more shots in the Expanded Syndication Version. 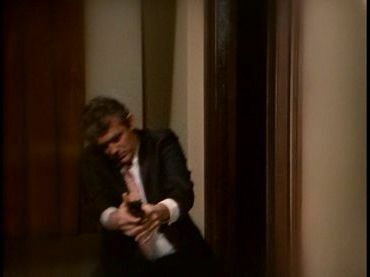 The the guy gets in position in order to fire at Steve, the shot starts slightly earlier in the Original Broadcast Version. Same thing when the guy aims at the car resp. at Steve.